If you can figure out what their motivation is, then you're ahead of the game. At many points in our lives we are forced to rely on others for assistance. This starts from the moment we are born. As we grow from baby to infant to toddler to child, we are forced to rely on our parents or guardians to care for us. As we get older, while we grow more independent, we still rely on others for assistance. For example, we seek assistance from doctors for our medical needs, auto mechanics to fix our vehicles, mediators to resolve conflicts, just to name a few. When we rely on others, we often do so with the belief that they have our best interests in mind. Unfortunately, that isn’t always the case. There are the cases when we know quite clearly that the person assisting us doesn't have our best interests in mind. The classic example of this is a salesperson. They are being paid to make sales, not to help us. Perhaps they might even be getting a commission from each sale. Yet we still go to the stores and ask for their help, but we take their suggestions with grains of salt, as we are well aware that they have ulterior motives. Ulterior motives aren’t bad in their own right. They are bad when they come from those people and places who shouldn’t have ulterior movies and they are bad when they conflict with our motives. When it comes from these people and places, we are left feeling, among other things, hurt, resentment and loss of trust. This is quite disturbing. A doctor, someone with whom you trust you care and well-being, makes a decision for you, simply because of his own needs. There are countless other examples that I have seen. Lawyers not having their client’s best interests in mind. Sports agents getting their athlete to sign for less now, because the agent is afraid that if the player waits a year, he may go with a different agent. Mechanics insisting on a lower quality part, since they make a higher profit from that company, etc. When working with anyone, one should constantly be asking themselves “Does this person have my best interests in mind?”. If the answer is no, the person should ask “Does this person’s motives conflict with my motives?”. If the person doesn’t have your best interests in mind, and their interests conflict with your interests, one should try to find someone else to work with. Just because you hired a lawyer doesn’t mean you need to keep this lawyer. A person should always be evaluating and reevaluating, to ensure that they get the best results possible. ● Speak with others who’ve been in similar situations, see if the way you’re being treated is the norm. 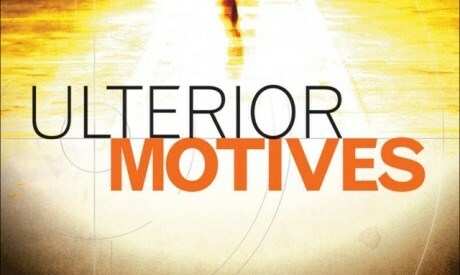 With these examples, the person with the ulterior motive is an outsider. Things get much more difficult when it is a parent who has ulterior motives. That will be Part 2 of this topic.